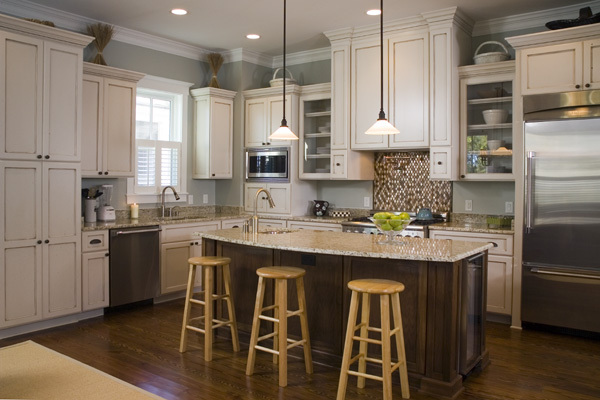 There are three basic door and drawer styles to choose from including overlay, flush inset, or beaded inset. 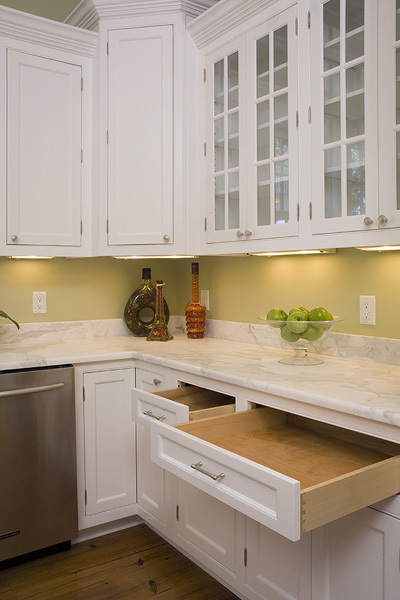 An overlay door and drawer style typically covers the face frame from 1/4” to 1 5/8”. This cabinet style is the most common and exhibits a pronounced appearance with enhanced detail to the door and drawer panels. A flush inset door and drawer style is one in which the cabinet door and drawer is inset within the rail and stile. 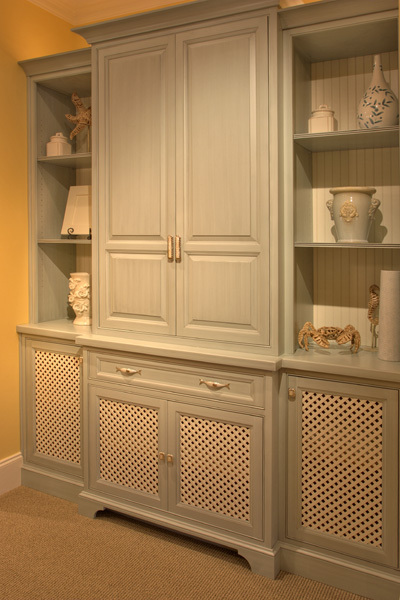 This cabinet style exhibits a “flush” appearance within the cabinet face frame. A beaded inset door and drawer style is similar to a flush inset door but an additional molding is placed within the face frame. This cabinet style also produces a flush appearance and is a slightly more intricate.